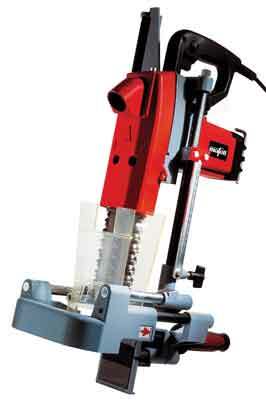 This is a relatively low-weight portable mortising solution that is ideal for site working. 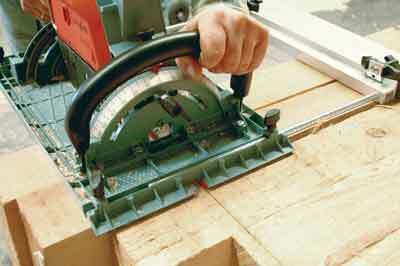 It has a long guide plate that acts as a fence so you can set mortise distance from the beam edge exactly. The chain can be tensioned or replaced easily. Mafell can supply a kit of chain links and rivets so you can maintain the chain. 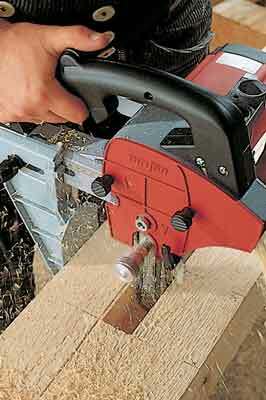 There are also optional chain bars and mortising chain so you can switch between 100-150mm plunge depth. 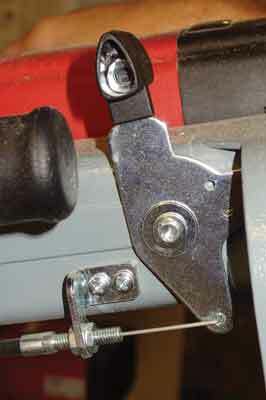 There is also an optional guide support stand for precise framing work when working with the 150mm length chain. 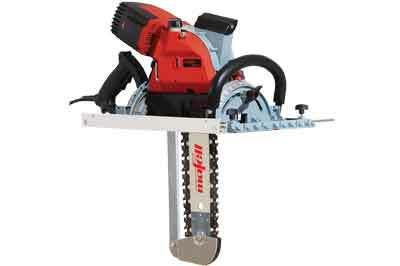 Equipped with a high performance 3,000W CUprex motor and 450mm diameter rip blade, this monster will safely handle cuts anything between 105-185mm at the 90° setting with precise hand wheel depth adjustment. 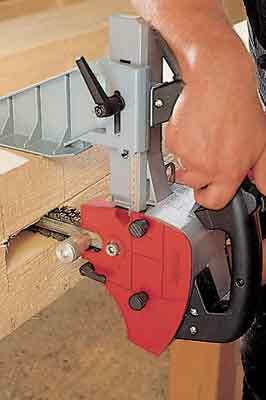 It can be tilted beyond 45° right up to 60° for extreme bevel cuts. The motor keeps even speed under load and has low noise emission. It has a parallel guide fence for accurate line keeping and it can use the Mafell guide-rail system.It comes with a lengthy 10m cable so you can keep working easily wherever you are. There is also a choice of blade types for every job. 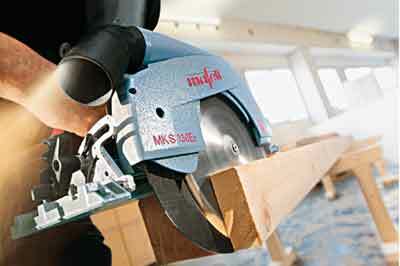 Recommended for cuts in solid timber, laminated boards, insulating boards and composite boards. 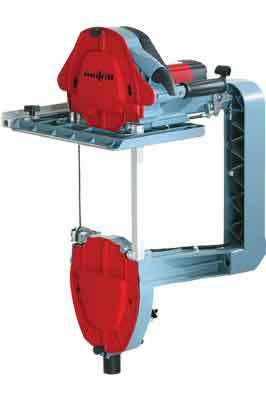 Door lock mortising on a grand scale couldn't be easier than with this machine. It mounts on the door edge with protective facings so the door isn't marked. It gives a mortise depth of 78mm and comes with a choice of chain bars and mortising chains for different width mortises. As usual, Mafell can supply replacement chain, bar, links and rivets as needed. 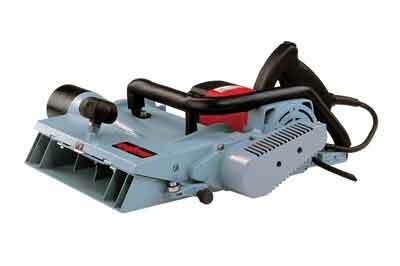 The powerful 1,600W motor gives tear-free cuts and the 4m cable means you can work easily. 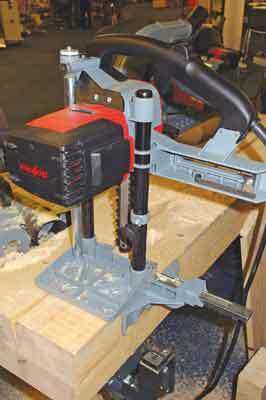 Who else makes a portable bandsaw? 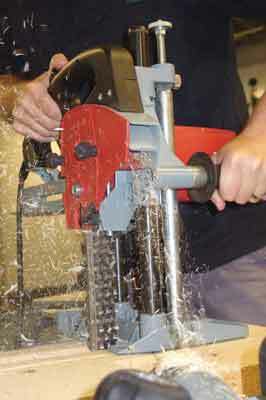 This is Mafell's prize machine, capable of shaping beams to a depth of 305mm maximum. If you need detail cuts on massive oak sections, there is nothing to beat it: take the bandsaw to the job not the other way round. It has several unique features. The blades are standard 4 or 6tpi skip-tooth, plus an ingenious 4tpi blade with rear cutting teeth so you always escape a cut as it can then remove the sawdust blocking the kerf. 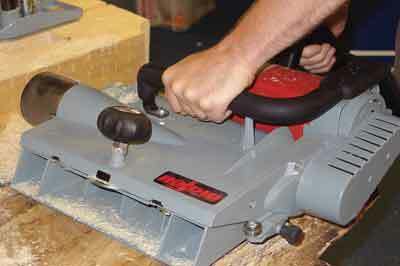 The tensioned idler wheel makes blade changing quick, too. 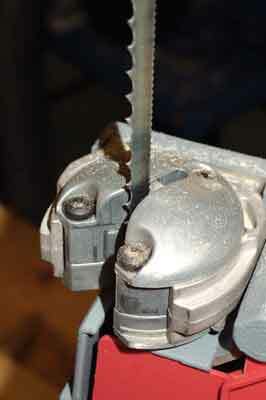 There are swivelling blade guides, which make 90° cuts possible via a thumb operated lever, which turns the guides safely mid cut. It can work with a parallel guide and an optional stand makes it easy to 'stow-it and tow-it'. This is another monster machine, which is lot easier to use than appearances suggest. Fitted with a 2,700W CUprex motor it has enough power to plane beams up to 320mm wide. 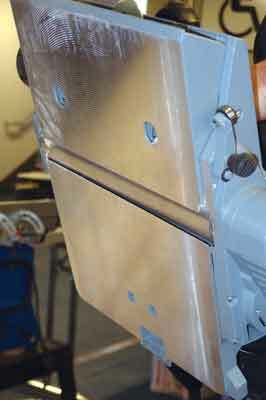 A flip down guide roller ensures it always stays fully on the beam and allows use of the full blade width. 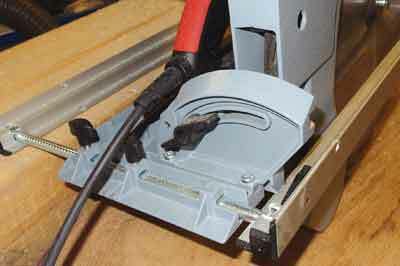 A disposable knife system makes blade changes quick and easy on site. A key feature is the turbine type chippings exhaust, which ejects even wet chippings efficiently and prevents blockages. There is an electronic brake for safe power down. 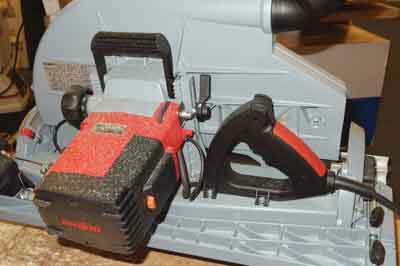 This carpenter's chainsaw comes with the unique CUprex motor designed for enhanced power delivery. It features a tilt range up to 60° either way and can be supplied in a choice of chain guide lengths although this one the Ec 400 is the most chosen option and the longest cut. 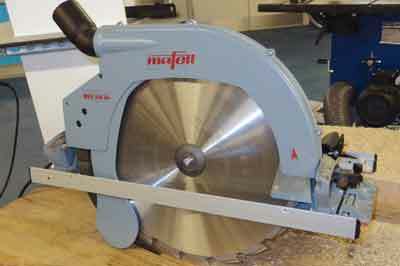 It has a special Mafell saw chain and has a riving knife behind to help the saw through the timber. 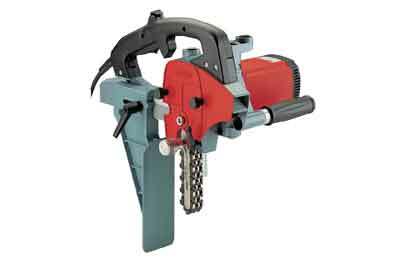 It has automatic chain lube, which can be adjusted to prevent any oil spillage during cuts. 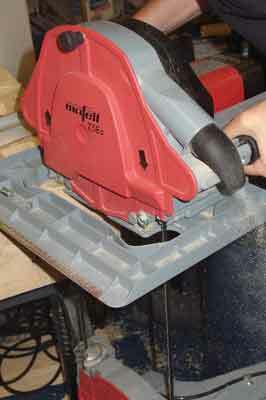 It can mount on a Mafell guide rail and there is an optional trolley for the saw.